The long wait is almost over with the MLB season just about appearing over the horizon. March 29 2018 is the day we’ve all been waiting for and while it’s been a long process, the Yankees roster is just starting to take shape. In recent days, news has emerged over Spring Training invites and while these are non-roster arrangements for now, there are some interesting names in the mix. 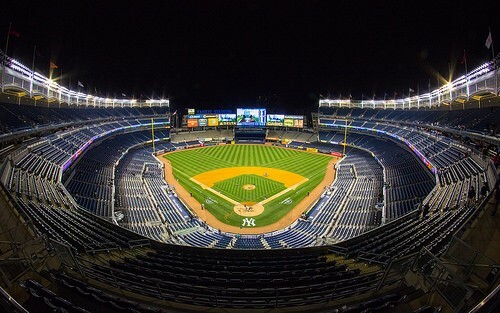 It’s been nine long years since the Yankees last claimed a World Series pennant but should fans be hopeful of landing their first success since 2009? The bookmakers could certainly build those hopes with Aaron Boone's men showing as one of three joint-favourites for 2018, along with Houston Astros and the Los Angeles Dodgers, but there are plenty of challengers beyond those sides. It's very tight at the top of the market so the bookmakers have tried to increase the overall value on offer with free bet promotions, as collated by online odds comparison site Oddschecker. Boone came along as recently as December 2017 as the new Yankees manager and this is his first managerial role following a 12-year playing career, with many suggesting that a lack of experience will count against the 44-year-old. The biggest news in the offseason came with the arrival of the great Giancarlo Stanton, In return, the Yankees had to part with their All-Star Second Baseman Starlin Castro so, while the trade came at a cost, New York may well have the better part of the deal. In seven years with the Miami Marlins, Stanton may not have picked up any team awards but his individual success showed why he needed to make the step up at 28. Stanton has four entries on All-Star teams in that period and reached a pinnacle when he was recognised as the MLB’s Most Valuable Player at the end of 2017. Add in a host of other awards including the Silver Slugger, the Home Run Leader and the Hank Aaron Award and there are many reasons for Yankees fans to believe that they have made the signing of the season. Stanton’s arrival was the highlight but the deals didn’t stop there: Jabari Blash arrived at Yankee Stadium from the San Diego Padres while, in return, New York offloaded Chase Headley and Brian Mitchell. Blash is 28 but only made his MLB debut as recently as 2016 so his arrival has rightly gone under the radar to some extent. With eight home runs and an average of .200, there is some potential here but the loss of a player with Headley’s record and experience seems quite a big price to pay. The most recent news from the Yankees camp may not be quite as pivotal to the 2018 campaign but it does, at least, bring us right up to date ahead of the season’s first throw. And, of the spring training invitees, three names really stand out. Justus Sheffield and Chance Adams are highly rated as pitching prospects and certainly look like good options for the future at Yankee Stadium. Similarly, outfielder Estevan Florial looks to be set up for a big career in the game so the news is good if slightly incidental. At the other end of the age scale, the Yankees have picked up two veteran MLB players who will both be slugging it out for a place on the final 25 man roster. Danny Espinosa and Jace Peterson will also be along at spring training to put pressure on and try to get a confirmed gig for 2018. Espinosa is a particularly interesting signing and, over 93 games for the LA Angels last year, he hit .173 with ten doubles and six homers. At 30, he still has a number of years in the Big League still available and Cashman will certainly consider promoting Espinosa to the full squad. With a number of big league players still listed as free agents, General Manager Brian Cashman still has plenty of time to finalise things before the first match of 2018 but the team and the overall roster is starting to take shape for the new campaign. 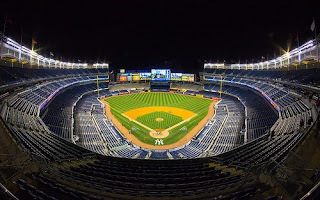 After Spring Training is complete, it all starts for real with the four-match series opener against the Blue Jays in Toronto on March 29 and, after a busy off-season, the Yankees are looking in good shape for a serious title tilt. No second baseman. No third baseman. Unless Cashman actually does his job -- which, as I understand it, is making the Yankees, not other teams, stronger -- and turns us from a Borg team, with only Seven of Nine positions filled, into a team with major league hitters at every position, the only way we'll be seeing the postseason is if we pay our cable bills. It's not like soccer, where you can play around with the number of defenders, midfielders and forwards. You have to have 3 outfielders and 6 infielders. And we don't have 6 infielders. And we can't put "prospects" who haven't even proven they can play Triple-A ball out there and expect to make the Playoffs and then do what the New York Yankees are supposed to do, which is win the World Series. If Cashman does his job, then we can be optimistic. But he hasn't thus far, so this could be a very long, very hard season. Give an example of how Cashman should do his job, Mike. (And don't cop out by saying you're not the GM. If you can criticize him you should be willing to suggest who the Yankees should sign/trade for to play second and third.) So, go ahead. I'll wait.